Clint is the smaller version of his brother Maxwell. Clint's first time out in the ring he goes Winners dog for his first points. 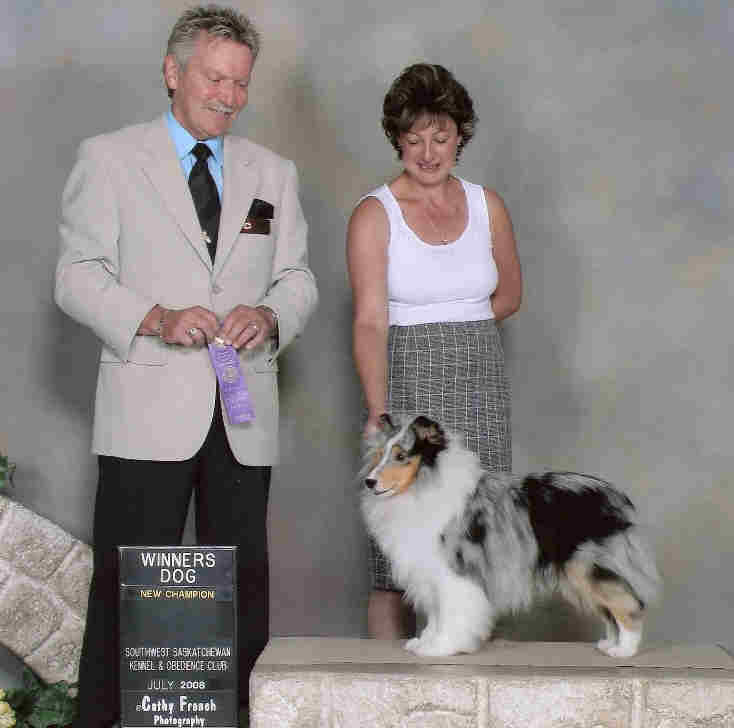 Clint finished his Canadian Championship guided there by Karen Pipke of Hycrest Havenese and Shelties. Thanks Karen! Great job with this little man! Sadly Karen passed away suddenly on Jan 01, 2012. We miss you Karen! Clint gave us quite a run in Oct of 2007 as he slipped his collar on the night of Sept 30th and kept us on the hunt for 32 days until he finally arrived at the front door of Anja's home Nov 1st. Clint has a guardian angel as he crossed many busy intersections and even the new Anthony Henday Freeway in Edmonton!! We are so happy that he has been returned to us safe and sound. Thanks Anja for taking such wonderful care of the little blue man!